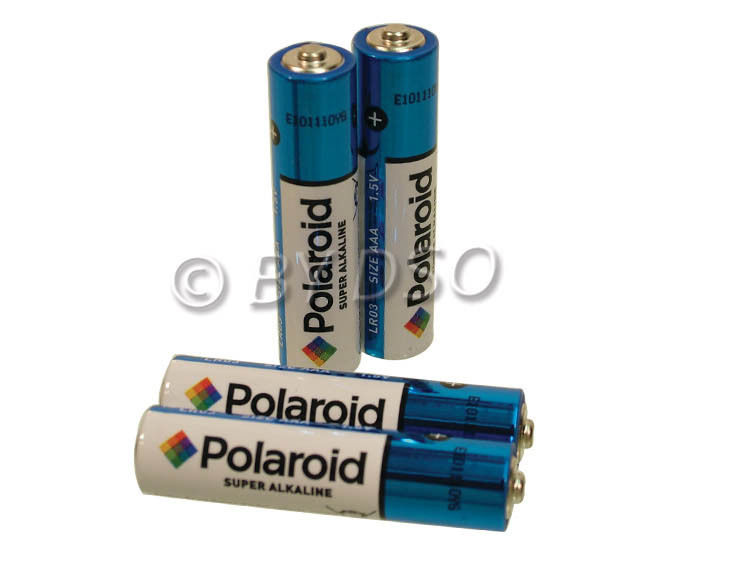 Polaroid Super Alkaline AAA 4 Pack batteries suitable for electronical items. The great value AAA Super Heavy Duty batteries are perfect to have around the house or to have ready for electronic items packed without batteries. Designed for long-lasting performance in a wide range of electrical tools and appliances.